If you have an upcoming move, you need a reliable moving company that you can trust. 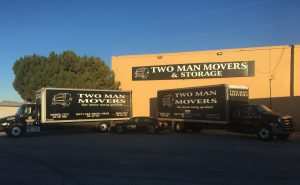 Two Man Movers and Storage has successfully operated in the moving and storage industry since 1999. Whether you need a local move down the street, a cross-state move or an international move, Two Man is your one-stop shop for moving services. 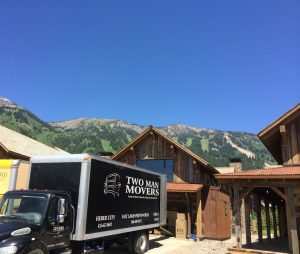 Our skilled movers in Sandy, Utah have perfected the art of moving families and businesses. Our comprehensive services keep your belongings in the same condition that you entrusted them to us with. Our Sandy moving company has an arsenal of moving materials such as protective padding, moving rugs, dollies, four-wheelers, secured fasteners and more. Whether you need to move heavy furniture or delicate antiques, you can have the peace of mind knowing your valued possessions are being handled with the best care. Our professional movers work closely with all our moving clients to develop a moving plan that fulfills all their needs. At Two Man Movers and Storage, we believe in going the extra mile for all our customers. Our recipe of superior customer service, complete transparency and hard-working employees have allowed us to exceed expectations on every move we do. As a family-owned and operated moving company, we treat your home and belongings as if they were our own. You will be assigned an individual moving coordinator that will work closely with you to tailor a moving plan that fulfills all your needs. From packing and unpacking services to decluttering, our locally-owned and operated Sandy moving company will make moving day a breeze! Our job is not complete until you are completely satisfied. Aside from our standard moving services, we also understand that some full-service moves require extra time. Whether you need to free up space in your new home or just need a safe location to store your belongings, our moving company has you covered. The climate-controlled warehouse storage facility at Two Man Movers & Storage will keep your possessions safe! We also offer top-of-the-line Sandy storage units. Our warehouse storage units in Sandy, Utah are climate-controlled and safely secured 24/7. Keep your extra belongings safe from the harshest Sandy weather. Upon arrival, items will be wrapped in protective padding and stored in secured containers. Retrieving your items is as simple as checking them in. Just let our warehouse movers know how long you intend to store your objects and the then call when you plan to pick them up. Take advantage of our extra space storage in Sandy, Utah whether you are moving or not. At Two Man Movers & Storage, we believe in going the extra mile for you, the customer. Our professional movers work closely with all our moving clients to develop a moving plan that fulfills all their needs. We understand what it takes to safely transport your valuables and care for them as if they were our own. 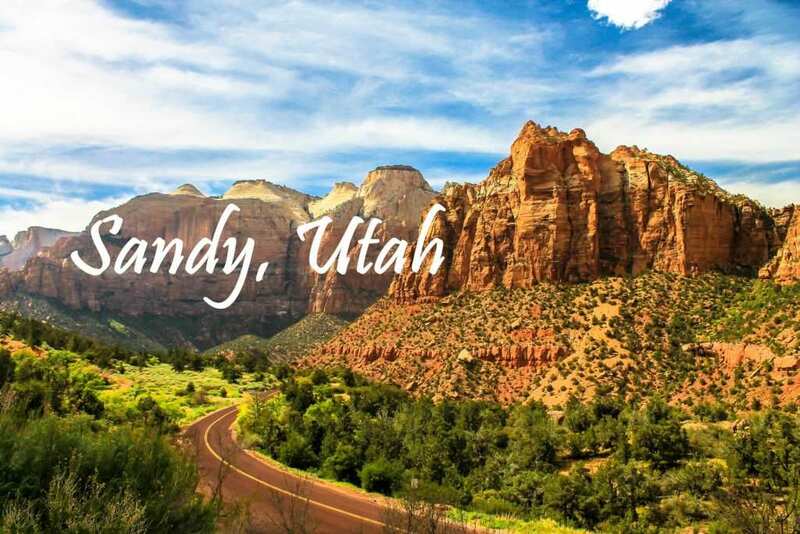 If you are moving to or from Sandy, UT, rely on a reputable moving company that will give you the peace of mind you deserve. Two Man Movers & Storage has performed successful moves to and from Sandy since 1999. Our knowledgeable movers coordinate with you so you can rest assured all details of the move are taken care of. From packing and unpacking services to decluttering services, our locally-owned and operated Sandy moving company will make relocating on moving day a breeze! Our job is not complete until you are completely satisfied. If you’re in the process of looking for homes for sale in Sandy, Utah, start out on the right foot by hiring the best Sandy movers. Contact us today to reserve your move at (801) 924-1564 to speak with one of our moving specialists. You can also fill out our estimate form to get a free quote!